Beer is the most widely drunk alcoholic beverage by humanity in the whole of human history. The first beer ever known was brewed over ten thousand years ago. 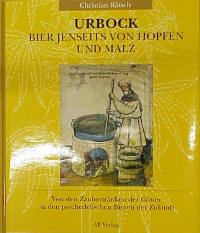 In ancient times beer was enlivened with the power of certain herbs. Beer had magic, it possessed the soul of a god or a goddess. It contained the power of holy herbs and was produced by the mystical transformation of nature. It was food, drink and sacrament in one. 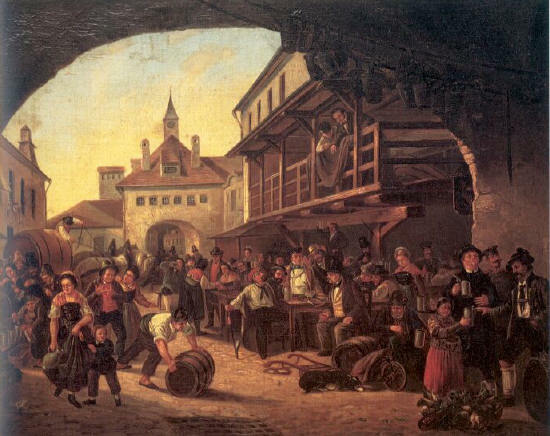 This secret history of beer not only aims to demonstrate the advantages of the old beers and the meaning of beer rituals but also to show beer in a new light. 9 x 7 1/8 in. What is beer? - What was beer? Born in 1957, Christian Rätsch received his doctorate in Early American Studies. For many years, he has been involved in research into ethnomedicine and religion of the "Lacandones", completing his studies with a paper on the learning of magic incantations (Berlin 1985). Further trips for research purposes followed - to South America, The Seychelles, Nepal and South-East Asia. He is the athor of several books, and the publisher of the series "Ethnomedizin und Bewusstseinsfoschung" and a lecturer in ethnology at the University of Bremen.